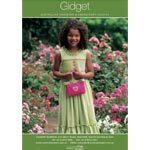 Description: Lime green gingham is hand pleated and decorated with picture smocked hearts and boders of pink and orange. 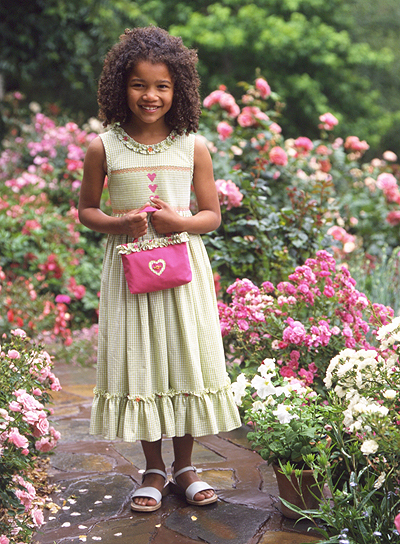 The lower skirt and neckline are finished with frills dotted with bright spider web flowers and lush green leaves. 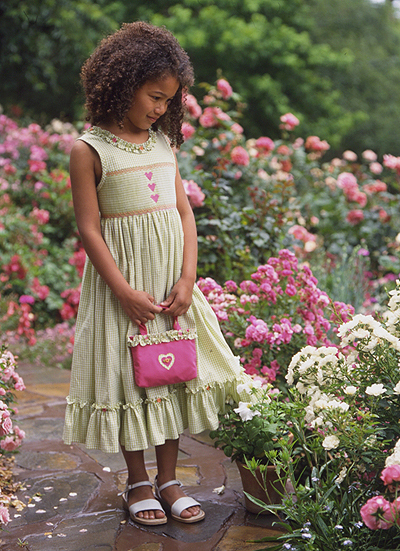 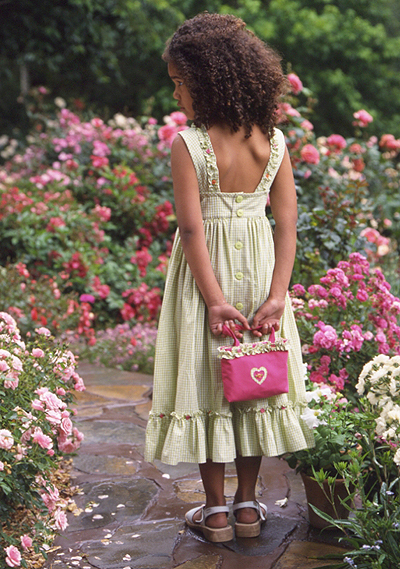 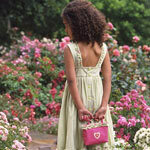 The hot pink bag is lined with gingham and features applique hearts, a gingham frill and embroidery.